Ozone Technologies has been involved in a number of unique and interesting projects, both for our clients and through our own research. This page will showcase some of these developments and progress of projects as they unfold. The range of applications this involves is quite diverse. For outstanding design and performance, this municipal water treatment plant now carries a AA rating.  Ozone plant drawing. 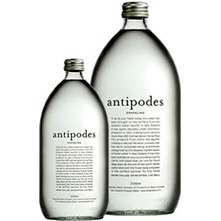 Interview with Simon Woolley, director of Antipodes Water Company, regarding their development from concept to reality. 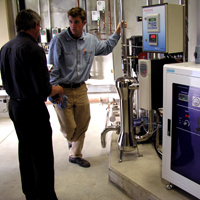 Craggy Range Vineyards winemaker Doug Wisor, interviewed in 2004 after installation of reticulating CIP (clean in place) ozonated water system at the SH50 winery, Hawke's Bay. Timaru District Council ozone plant - more to come.